It is time that we take a break and enjoy Virat Kohli facing Saeed Ajmal, or Ahmed Shehzad coming face-to-face with Mohit Sharma. Let’s face it; Indo-Pak cricket plays as strong a part in conflict resolution between the two countries as any other diplomatic solution. The game has been used to strength bilateral ties for decades. And therefore, the recent announcement made by Pakistan Cricket Board’s chief, Shahryar Khan, about the resumption of the Indo-Pak cricket series, to be held in United Arab Emirates (UAE) in December later this year, is nothing less than a breath of fresh air for the two countries’ foreign-policy makers. 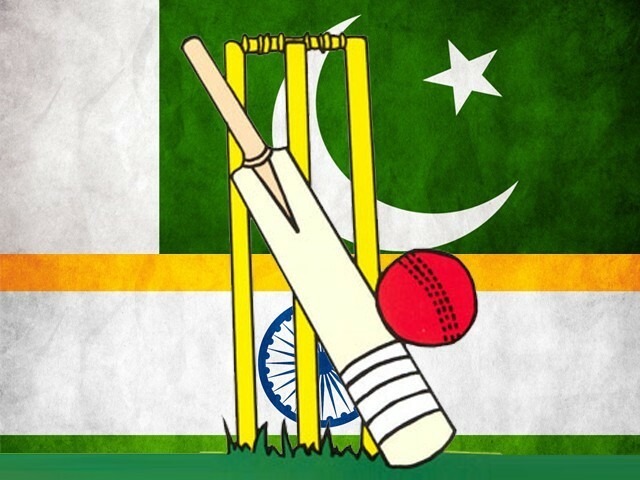 This LOC (love of cricket) – unlike its border counter-part – often brings both these nations together, no matter what the dispute may be. A case in point is the 2011 World Cup semi-final in Mohali between India and Pakistan. During the match, television cameras frequently zoomed in on then Indian and Pakistani prime ministers, Manmohan Singh and Yousaf Raza Gilani, seated together in the stands. The match was the first between these two countries after the 26/11 Mumbai attacks. However, this match did not take place because of some political move or diplomatic framework. It happened because of cricket; the sheer attraction that this game has was able to bring together two nations who were on the brink of a cold war. Similarly, the last bilateral series between India and Pakistan was held in 2012-2013, when Pakistan toured India for three ODI and two T20 matches. While the series could not change much between the two nations, as India still blames Pakistan for not cooperating in the probe of 26/11 Mumbai attacks and Pakistan still has its complaints against India’s influence over Afghanistan, the fact that the series took place in the first place is reason enough to know that cricket can be an ice-breaker. But, of course, it’s a two-way stream. Where cricket changes political outcomes, politics also inevitably affects the cricket phenomenon. For example, Pakistani players participated in the first edition of the Indian Premier League, and many of them proved to be a huge success; however, post-26/11, Pakistani cricketers were debarred from the IPL. And this is not the first time that cricket ties were severed because of political relations. The two countries had dissolved their links earlier too, in wake of the Kargil War in 1999. These ties were later resumed in 2003-2004, when India toured Pakistan. Often, issues due to political problems do not remain just to the grounds. In 2014, when Pakistan defeated India in the semi-final clash of the Asia Cup in Bangladesh, some of the students in India were charged off sedition for cheering the so called arch-rivals Pakistan. Now whether his remarks would have a lasting impact on the cricketing ties being reestablished between the two countries or not, is yet to be seen. But I have always believed in the power that cricket yields. It does take time, yes, but every time cricket resurrects itself from an embargo, it manages to consolidate for all the hostility at the borders or in political speeches. If the upcoming series takes place without any qualms, I believe cricket will once again help in stabilising the relations between the two countries. Of course, cricket cannot solve major issues, like the territorial conundrum of Kashmir, or other chords of contention which have locked India and Pakistan in a never-ending wave of conflict. But it can bring both the parties to the table; it’s the perfect way for both the nations to initiate the peace dialogues. Plus, it gives a breather for fans from the political tirades of both the nations. As this series is about to happen, the challenge is on the military and the politicians to ensure that a smooth, hate-free and war-free game between the two nations takes place. It is time that we take a break and enjoy Virat Kohli facing Saeed Ajmal, or Ahmed Shehzad coming face-to-face with Mohit Sharma. It is time to forget our woes and come together for a game that we all love, irrespective of which side of the border we are on. yes good topic!! As we know that modi is already hinted that we will make relation better soon with pakistan so the cricket is just like a big tool for improving relation. It has got nothing to do with Indian govt. or the pakistani govt taking the initiatives, as per ICC FTP, this was scheduled to happen, ofcourse the govt. in both the countries are only there to stop cricket between these two sides. Pakistanis need to come out of international isolation as no team, other than Zimbabwe (if you call it a team!) is willing to visit Pakistan. So, a cricket series with India makes a lot of “financial” and”diplomatic” sense. Is it good for India though? Cricket became a victim of politics when Zia-ul-Haq flew into Jaipur stylishly to watch a cricket match. He was also stoking “Khalistan” separatism at the same time. He projected himself as a peaceful guy, hiding his true intentions. India has moved far ahead of the “cricket diplomacy” that it does not need cricket for diplomacy anymore. This certainly is the case after the Mumbai attacks which trace the culprits as coming from Pakistan.